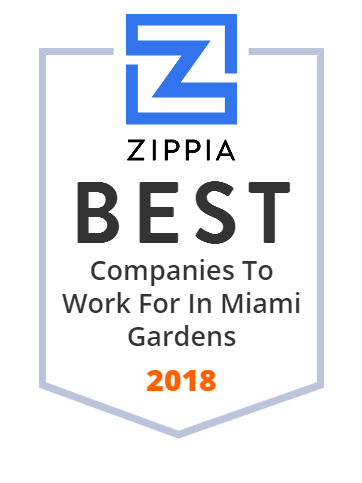 We hand-curated a list of the best companies to work for headquartered in and around Miami Gardens, FL using data on salaries, company financial health, and employee diversity. The Miami Dolphins is a professional American football team that plays in the AFC Eastern Division of the National Football League. It is the oldest continuous major-league professional sports franchise in the state of Florida. The Dolphins were founded by attorney-politician Joe Robbie and actor-comedian Danny Thomas. The company was founded in 1965 and is based in Miami Gardens, Florida. Pavilion, incorporated in 1996, is a furniture manufacturer that serves fine hotels, clubs, spas, luxury residence and resorts worldwide. It served such hotel chains as Hilton Hotels, Loews, Holiday Inn, Ritz Carlton, Marriott, Sheraton, various cruise lines, country clubs, restaurants as well as celebrity & high profile residences. Its product designs range from cutting edge contemporary to elegant traditional. The company is based in Miami, FL. El Dorado Furniture is a Hispanic-owned furniture retailer that offers a wide selection of furniture and mattresses in South Florida. Founded in 1967 and operated by the Capo family, anyone can find something that fits their needs at El Dorado Furniture, from classic traditional to ultra-modern. Currently there are 12 El Dorado Furniture showrooms and two outlet centers in South Florida. El Dorado Furniture can be found in Miami Gardens, FL.